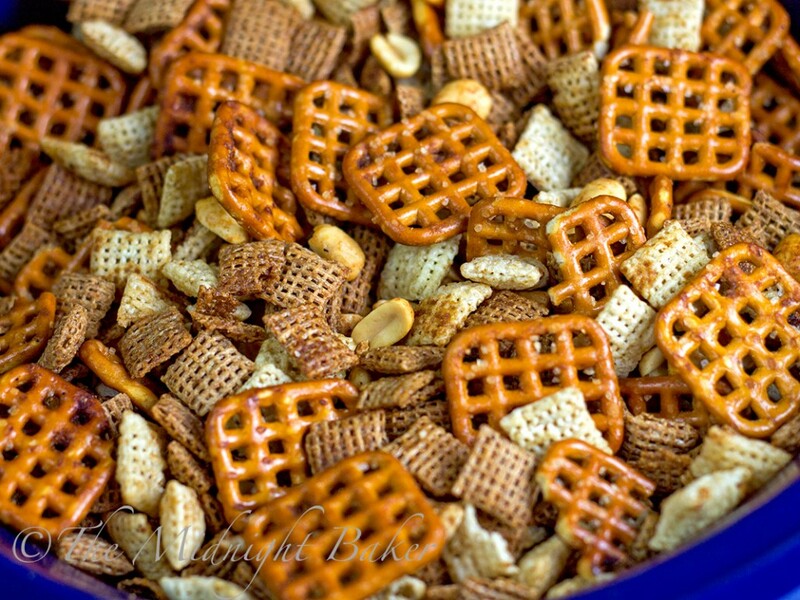 This Chex party mix is the grandaddy of all party snack food. Watch this disappear at your holiday party! 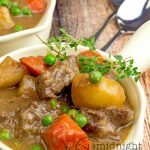 This recipe, although slightly different, was posted on my Crazy for Crockpots group on Facebook by member and wonderful cook Linda Rozzano. 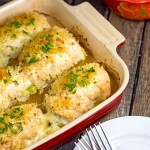 I haven’t made this in years, and I never used a slow cooker to do it. Her recipe sounded delicious and I decided to make some of it so I had plenty for the upcoming holidays. Since I’m not a big lover of worcestershire sauce–and Linda’s recipe had quite a bit (she used 8 tsp in hers), I decided I’d use slightly less than half of that and top up the rest with soy sauce. The only deviation from her original recipe is my combo of soy sauce & worcestershire. So if you want the original, merely use the 8 tsp of worcestershire and omit the soy sauce. The biggest crock pot I have is 5 quarts. My amounts of cereal filled it practically to the brim, and that made it hard to stir. 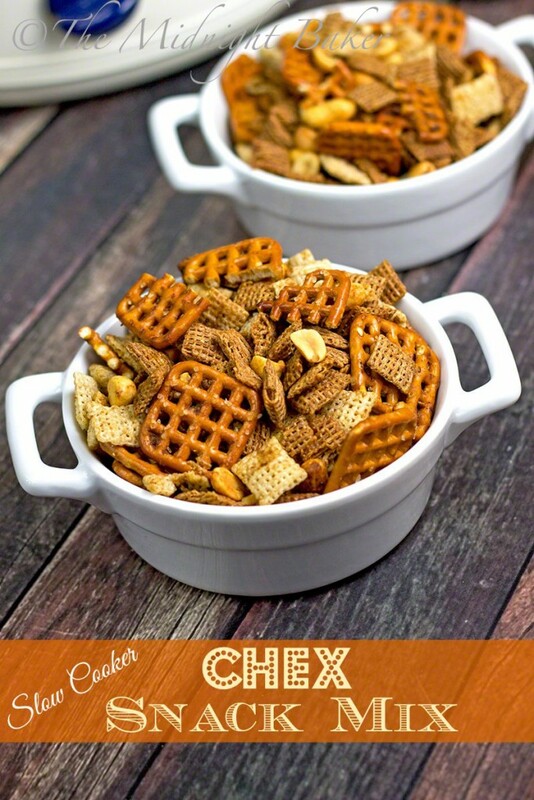 I managed, but what I suggest with a 5 quart or smaller cooker, is either use less of the cereals, pretzels and nuts, or mix everything up in a large bowl, add the sauce, stirring to coat, then put it in the slow cooker and set it on warm. That way it’ll be nice and warm for guests and it won’t cook or burn. The ingredients I used and the amounts are only a guide. 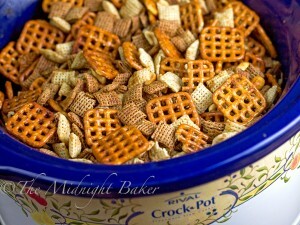 I love the taste of Wheat Chex and don’t much care for Corn Chex. So the dominating cereal is wheat in mine…use what you like! I used peanuts, but mixed nuts would be just as good. 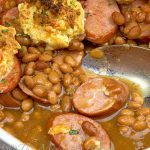 Another member, Emily Scott, makes this too and sometimes uses the smokehouse nuts–with adjustments in the seasonings. 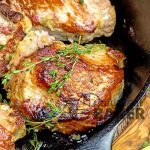 This recipe is pretty basic, but you can make it your own with what you like. Like anything 5-alarm? Then add some of that hot sauce to the seasoning mixture! Mix the cereals, pretzels and nuts in the crock of a large (6-7 quart) slow cooker. In a small saucepan, melt the butter. Stir in the remaining ingredients. Start with the ½ tsp of sugar and taste the sauce--if it is too tart, add the additional ½ tsp sugar (or to taste). Pour seasoning over cereal mixture and stir. Cover and set to LOW and heat for 1 hr, stirring every 20 minutes. If your slow cooker is smaller, mix in a separate bowl before adding to the crock. Set the cooker to WARM, stirring occasionally. 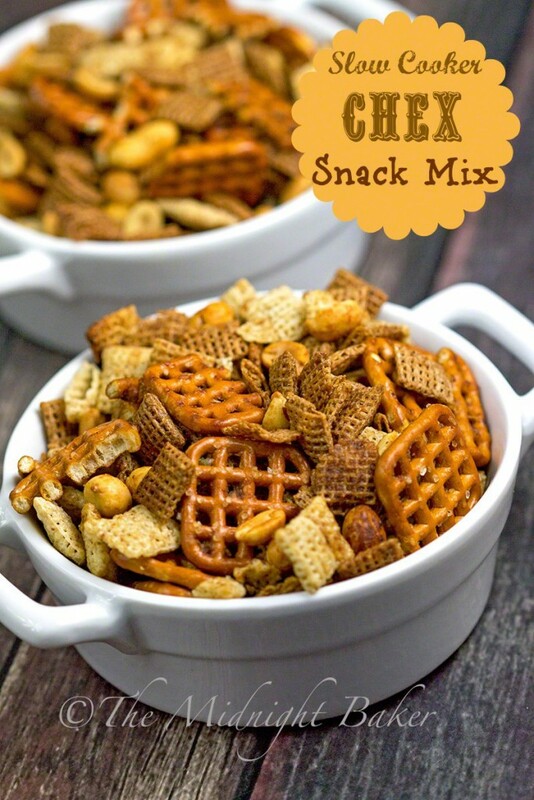 Love Chex Mix, but homemade is even better. This looks delicious…thanks for sharing! Just made this. Doubled the liquid and spices. Added Paprika and Cayenne. Did not use sugar. Slow cooked for an hour and 20 min (got distracted). End result was at least a cup less volume than I started with since I had to taste it each time I stirred it to make sure it was okay!! It tasted great each time, btw. I just laid it out to dry on some parchment paper. There must be something about this mix that distracts LOL!! Same thing happened to me and part of it got scorched!!! !